I was lucky enough to be sent one of the picture book finalists from the New Zealand Post Book Awards for Children and Young Adults: Watch Out, Snail!,by Gay Hay and Margaret Tolland, to review with the help of my preschoolers. Since my son had just gone mad for insects after studying them at kindergarten I knew that Watch Out, Snail! would be right up his alley, in fact both my son 4.5 and daughter 2.5 loved it. The first thing that grabs you when you pick up the cover and start reading the book is the glossy slightly raised shell of the powelliphanta snails. My children and I noticed this straight away and immediately started to trace the shape of the snails spiral shell. The shell has been printed with a smooth film over the illustration and on every page my children’s hands were drawn to it. I love the idea of a tactile representation in books that may encourage a more tactile learner to be involved and engaged in the story as well. The forest sets the scene for this picture book and the epic battle of snail and worm, and the dangers the snail faces from other creatures. The book teaches us about the circle of life within nature, it is true to the world of the powelliphanta snails and includes an array of animal, birds and insects that live in the bush. For my younger daughter, the creatures were the main interest for her in this book. The illustrator has done a beautiful job, sometimes the whole creature is represented on a page but sometimes it might be part of its feet, or tail or snout. The perspective also changes on each page, so that you see the scene from different viewpoints. My daughter delighted in finding the creatures hidden away in the native forest and learning all their names, the changing perspective on each page meant she had to look at each page anew. 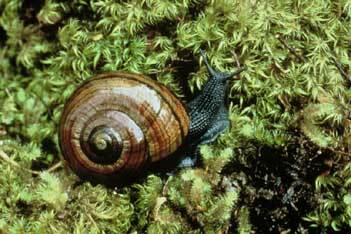 The snail eating the earthworm highlights the main characteristic of this native snail and allows children to then explore the differences between the powelliphanta snails and your normal garden snail. My son wanted to know why the snail was eating the worm, why is it carnivorous? What does this mean, why does it have teeth? Luckily, the author has included information about the powelliphanta snail in two parts in the back of the book − two pages of information with pictures for younger children, and then more text information in the back for those older children and slightly older readers (or mums). There is also a small glossary of Maori words for some of the creatures in the book, which is another great resource for learning. Glistens, shimmering, gnarly, twitching, fossicks, rasping are just some of the words used in this book The language that makes the story work so well is descriptive and expressive, it opens children up to new words they may not have come across and poetically sets the scene and sounds of the native forest at night. Overall my children and I really enjoyed Watch Out, Snail!, the beautiful creative language and stunning artwork kept all ages absorbed in the story, from the two year old spotting creatures to the 4.5 year old learning about this great native snail … even mum learnt a thing or two! The only thing I would have liked is powelliphanta sounded out, because every time I say powelliphanta it comes out a little differently! Reviewed by Alyna Higgs-James, on her blog Thrifty Gifty. She has is giving away a copy of this book, so click through and enter! Touring finalist alert: Gay Hay is in schools in Upper Hutt today, 20 May, while Margaret Tolland is in Porirua tomorrow, 21 May. This entry was posted in Book review, New Zealand Book Awards for Children and Young Adults Finalists and tagged alyna higgs-james, bugs, gay hay, insects, margaret tolland, porirua, powelliphanta, snails, upper hutt, watch out snail, worms by booksellersnz. Bookmark the permalink.